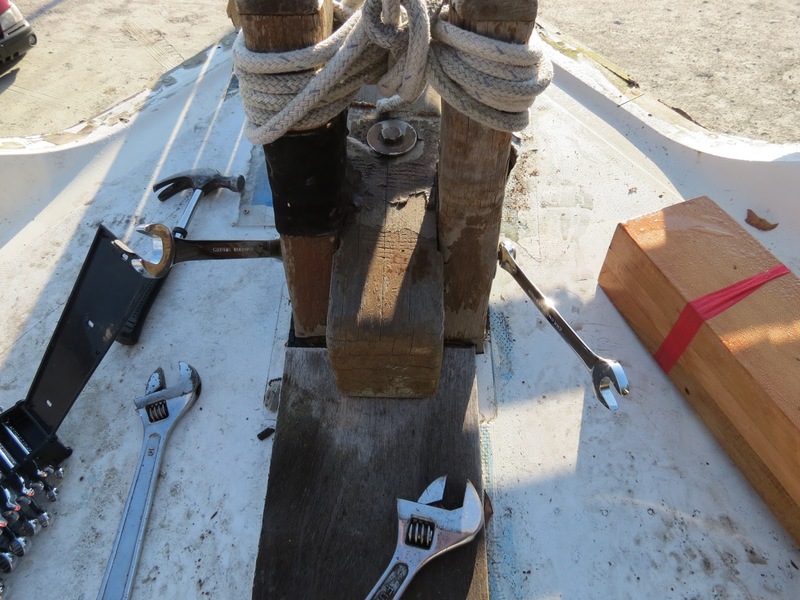 Today was the day for replacing the bowsprit. 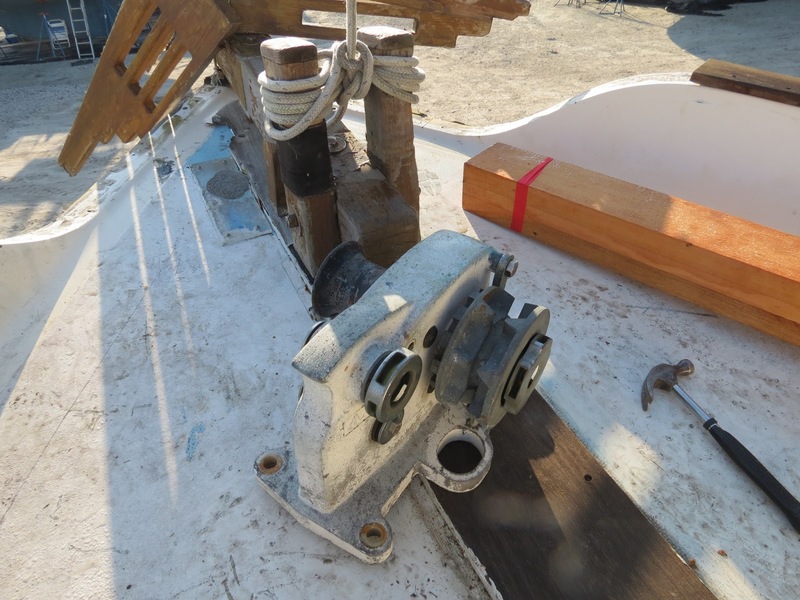 First the Tiger 555 Windlass had to come off. 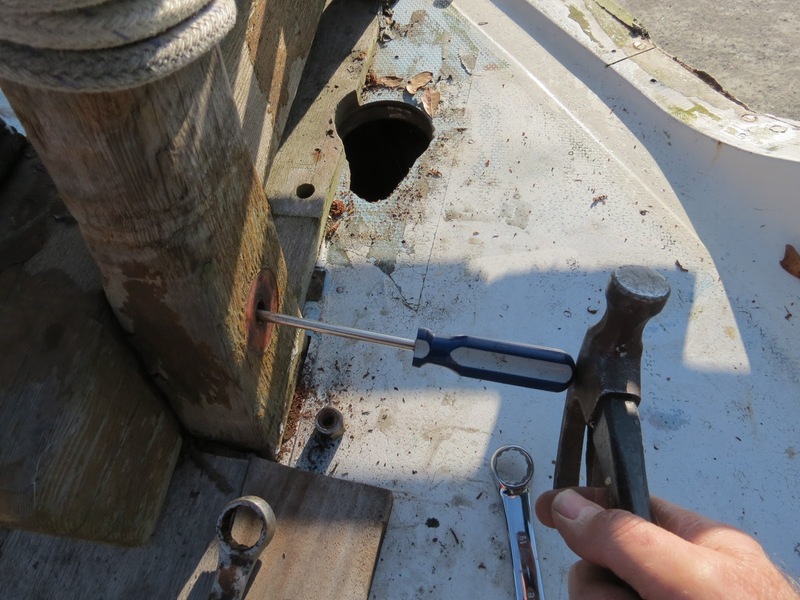 Next I had to take remove the half inch bolt that passes through the samson posts either side of the bowsprit. 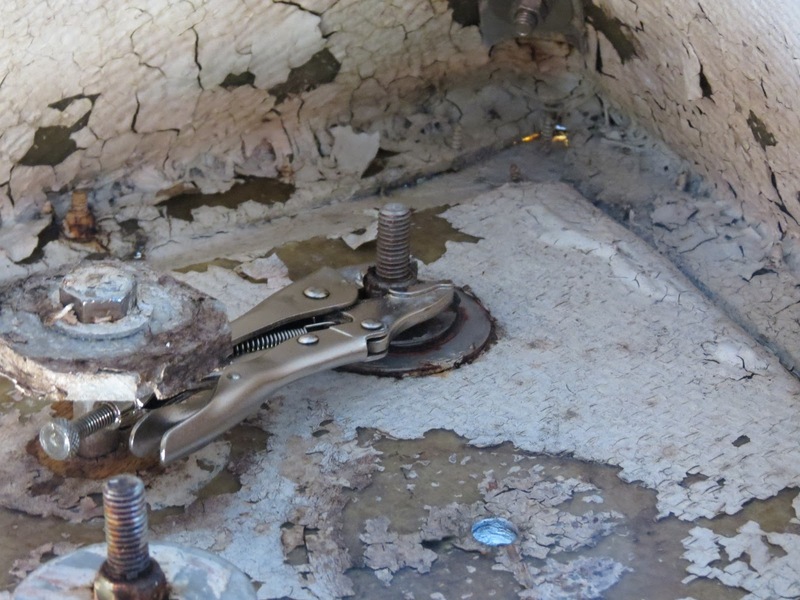 Ended up being a real challenge and thankfully my kind neighbor lent me a long wrench so that I could get some leverage. I used my screwdriver as a punch to extract the bolt. 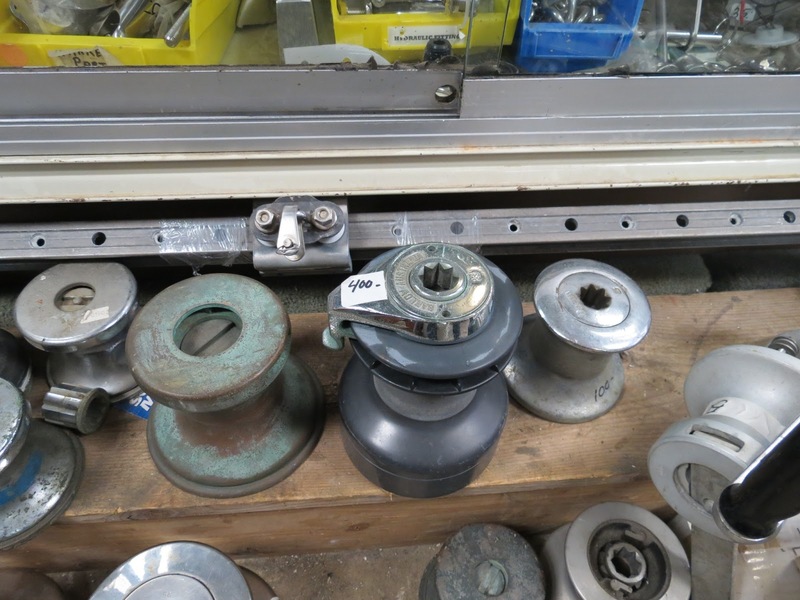 When you are working by yourself, these vice grips come in handy. Picture is upside down. 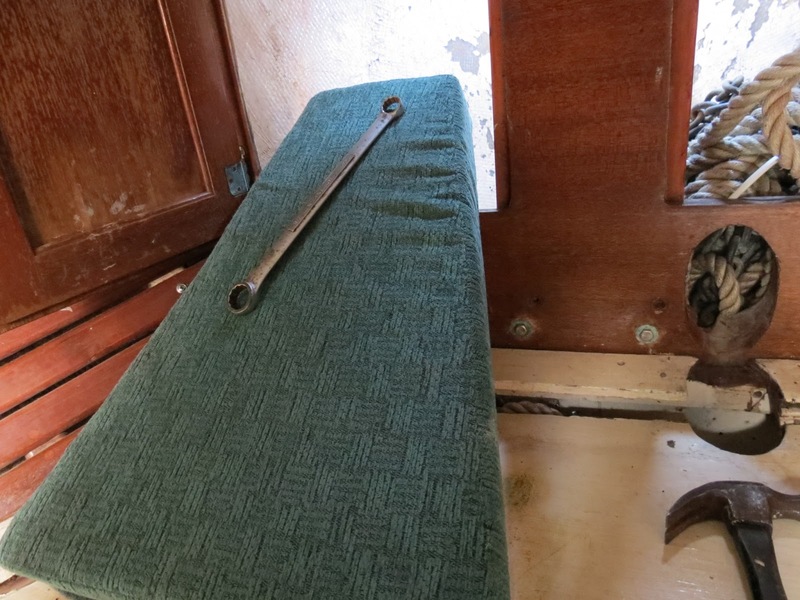 Two of the items that were needed most for the job were a cushion to rest on and my neighbor's wrench. 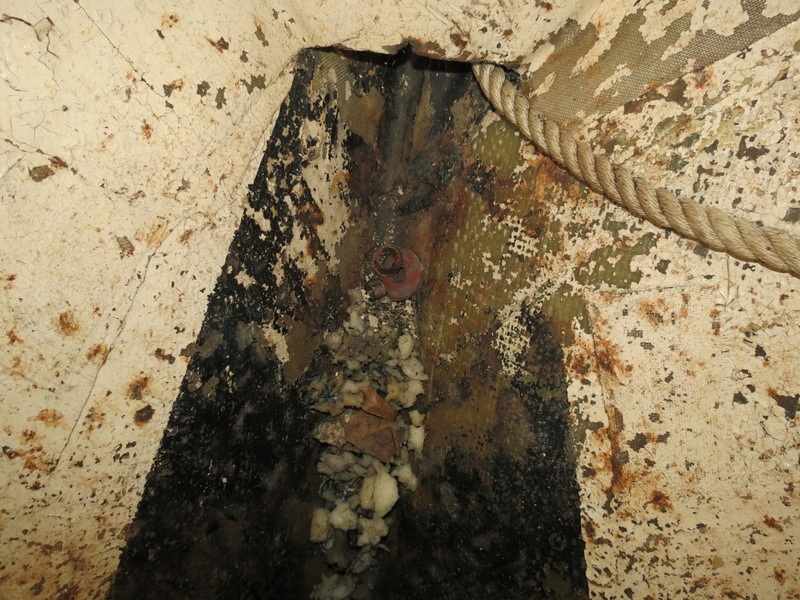 I dropped some nuts and washers into the bottom of the chain locker and nearly lost them in the trash. I finally got the old one off. 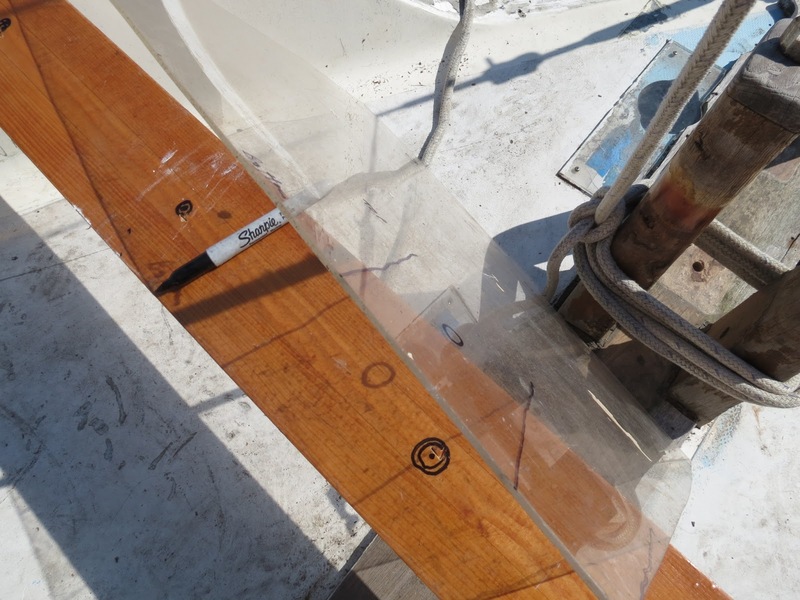 I used the old one as a template and marked a piece of poly-carbonate with a sharpie to transfer the hole placements to the new bowsprit. 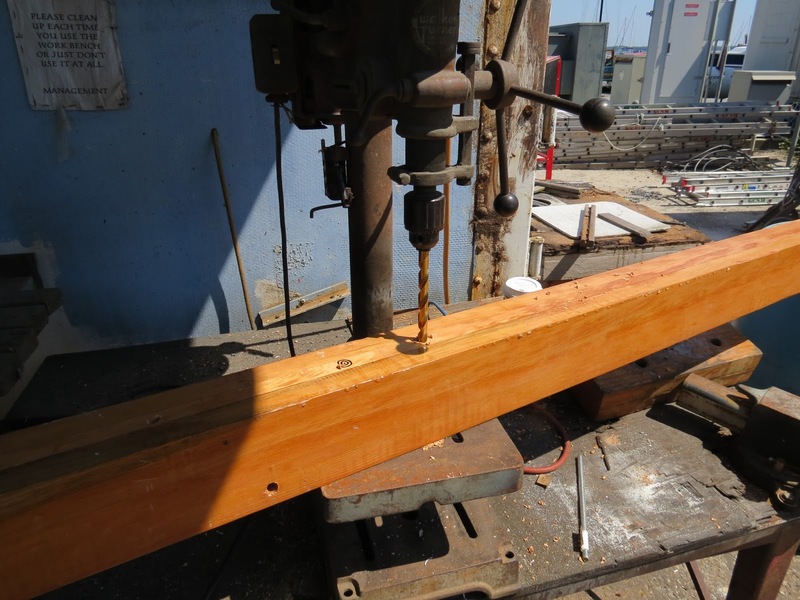 Next we took the bowsprit to a drill press here in the yard and drilled 2 holes in it. 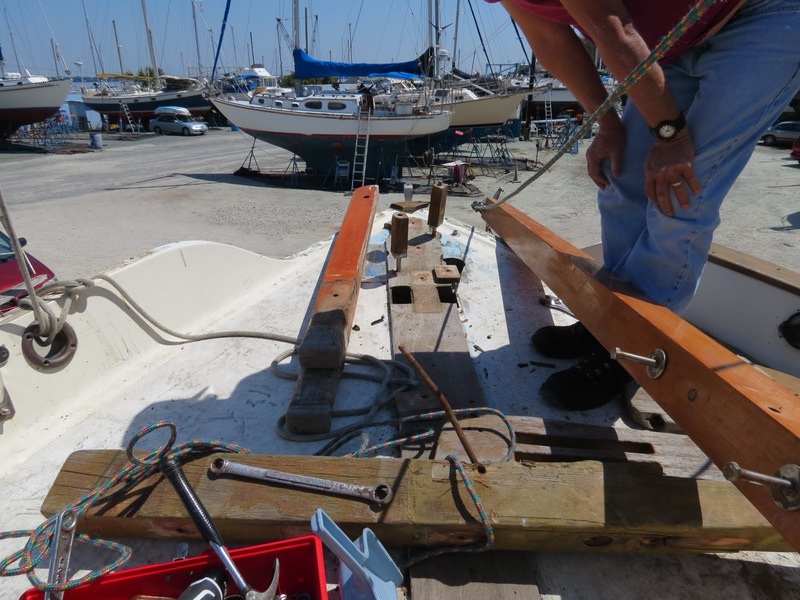 Then we took the bowsprit back to the boat and put it in place to check for alignment. Fortunately they fit perfectly. 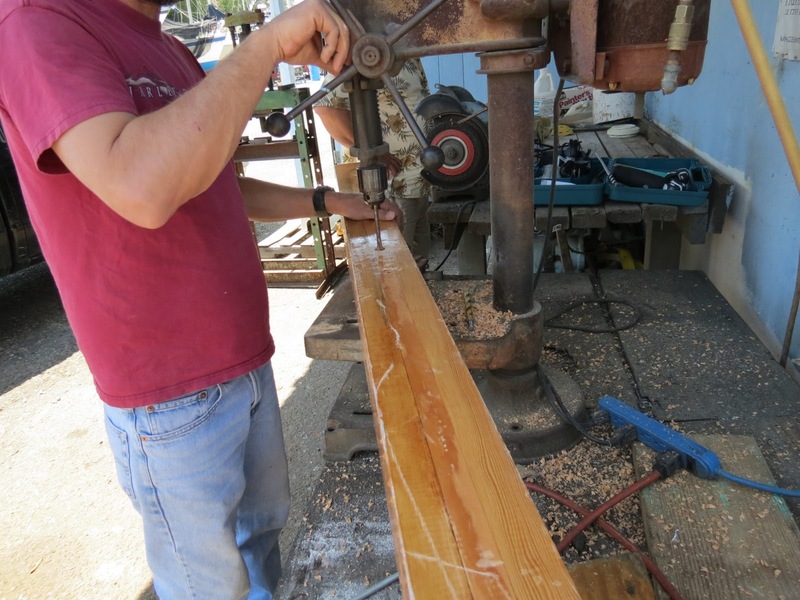 Then we went back to the drill press to drill all the other holes. 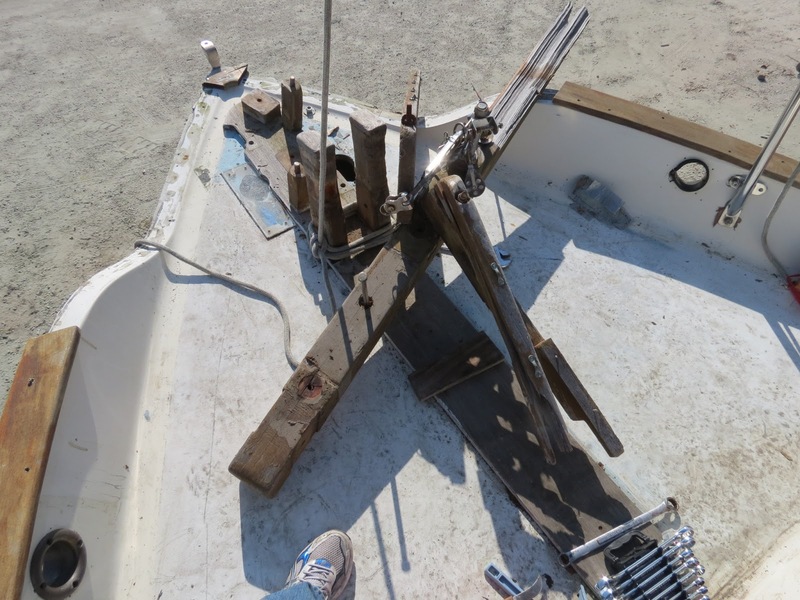 Now I need to go over all the holes with penetrating epoxy, so it is off to Home Depot. I also stopped off at Sailor's Exchange and West marine for some propane parts. Now it is late and I have to have some dinner. A can of baked beans, corn an orange and a juice should do the trick.